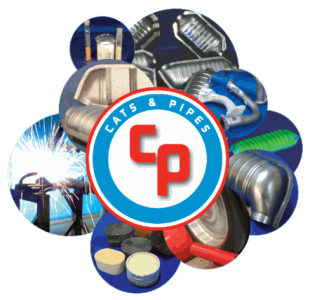 Cats and Pipes is a Flintshire based family owned business that continues to lead the way as the only aftermarket manufacturer in the UK that assembles and builds catalytic converters in its own factory. The majority of the firm’s sales are to major distributors who then re-sell to garages and workshops and fitting centres. The founders are also very proud of the fact that Cats and Pipes is a family business led by people who were born and have lived in Wales all of their lives. Supported by one of the best R&D and engineering facilities in its field, Cats and Pipes has worked extensively over the past few years on a programme of technological product development and the expansion of its manufacturing facility. Its 2010 project has been the installation of a continuous belt calciner oven for its wash coating facility which has increased manufacturing by 80 per cent. This, in turn, means that the market range can be improved to include universal and direct fit systems. Father and son, John and David Carpenter had been operating in the automotive exhaust industry for over 20 years and their move into the specialist catalytic converter market over ten years ago, though challenging, has advanced the company’s technological and engineering resource to a point where they can now produce a cat’ that is tailor - made to suit any particular application. The Carpenters previously manufactured exhaust systems and their in–depth knowledge of the industry assisted in their fore-sight of the demand for specialist technology once new legislation governing car emissions took force in recent years. The main factors that have driven Cats and Pipes since inception are knowledge of the automotive industry for over 25 years, manufacturing a good product and extensive knowledge of the speciality of product development. Investment in research and development has enabled the company to manufacture products to the full legal requirements on tightening emissions. During the first six months of 2010, employment in the company has increased by 35 per cent. The company aims to increase existing markets and exploit new ones. To do this, it will increase production facilities to accommodate the expansion, improve on production quality and add new training facilities to show that exiting and new customers the advantage in using Cats and Pipes in the forefront of the aftermarket catalyst business. With the ongoing legislation governing vehicle emissions, the company is well served to meet the demands of this growing market.